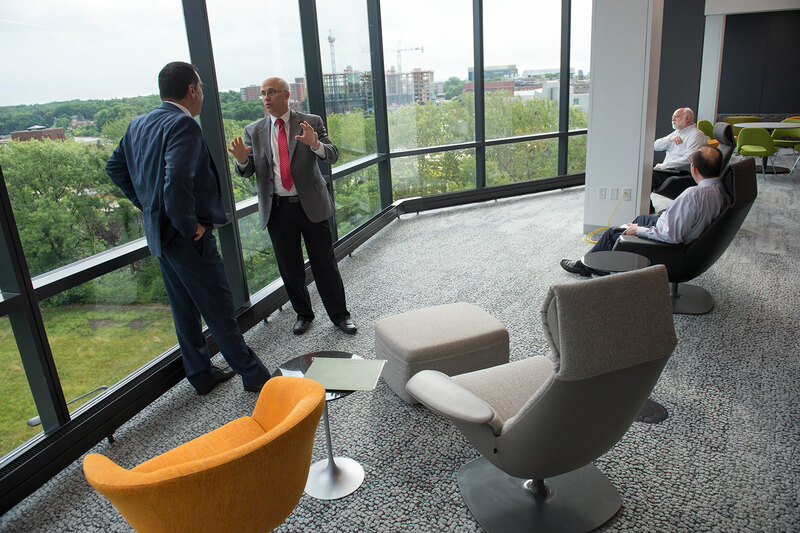 The new UI informatics space, located on the fifth floor of the College of Public Health building, boasts an open work environment and spectacular campus views. Photo by Tim Schoon. The University of Iowa’s informatics faculty cluster has a new campus space atop the College of Public Health Building (CPHB). The cluster, launched in 2013, is a major multidisciplinary initiative aimed at establishing the UI as a national center of excellence in the field of informatics and big data. A newly renovated space on the fifth floor of CPHB will provide informatics faculty, staff, and students with a modern learning environment, including open work areas, standing desks, private offices, comfy couches and chairs, and the latest technology. The space is expected to open in early July. Ben Rogers, associate director for informatics services, says one of the coolest pieces of technology is a visualization wall that can display screens from multiple computers, making it ideal for group projects. 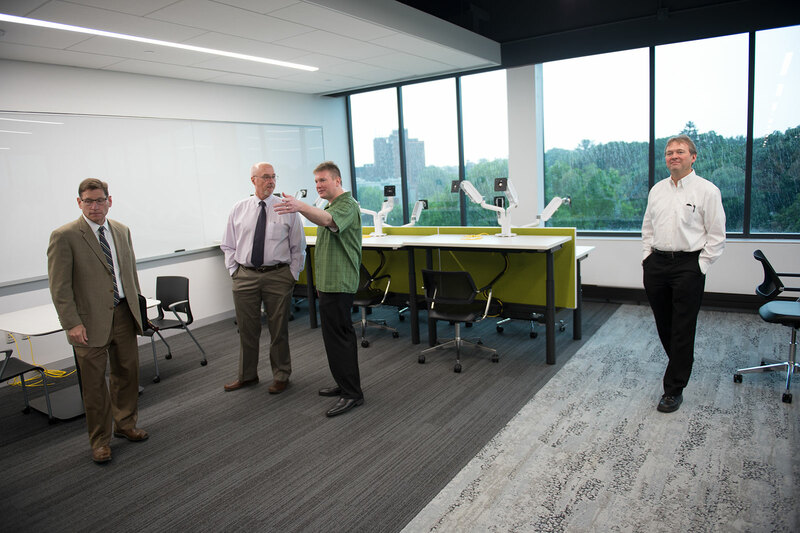 Rogers says he is excited to see how the open floor plan—even the walls are made of glass—will foster more opportunities for collaboration among faculty and students in the informatics cluster, as well as various disciplines throughout the university. Only a few employees will have permanent offices in the new space, so the campus community will be able to share the common areas, he says. 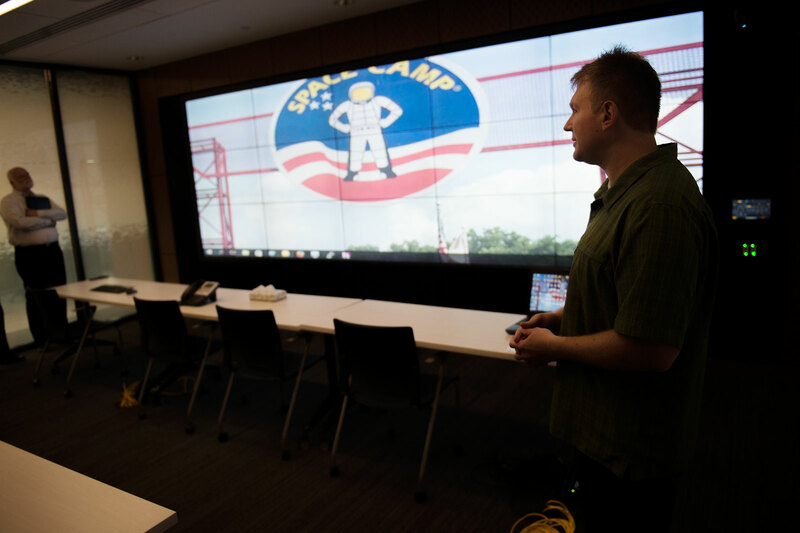 UI students and employees unaffiliated with the informatics cluster will also be welcome to use the space, though informatics initiative leadership is still finalizing how this will work.